On February 6, 2013, EPIC submitted a rulemaking petition to the California Board of Forestry aimed at enhancing protection measures for California’s Northern Spotted Owls, while saving substantial state and federal agency resources. The rulemaking petition is the product of over three years of EPIC spotted owl advocacy aimed at challenging the glaring inconsistencies between the inadequate protection measures found in California’s Forest Practice Rules and the clear guidelines provided by the United States Fish and Wildlife Service, backed up by even clearer legal precedent from the Supreme Court. In California, Northern Spotted Owl protective regulations were originally adopted by the Board of Forestry in the early 1990’s shortly after the species was listed as “threatened” under the federal Endangered Species Act. These regulations were based on the limited scientific information available at the time of the rulemaking. 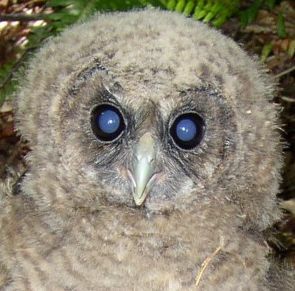 The protective measures for Northern Spotted Owls in the California Forest Practice Rules were designed to allow continued timber harvest within suitable habitat while avoiding “take” as prohibited under the federal ESA. Prior to 1999, these regulations were enforced via consultation with the California Department of Fish and Game. In 1999, the California Department of Forestry and Fire Protection (CALFIRE) requested that the United States Fish and Wildlife Service (Service) begin consulting on Timber Harvest Plans (THPs) that proposed removal of suitable Northern Spotted Owl habitat in order to insure that “take” was avoided. Thanks for sharing this post on your blog Kyle!! !